An important part of the Alternative Reference Rates Committee’s (ARRC) work on the adoption of the Secured Overnight Financing Rate (SOFR) has been the creation of a term SOFR. Repo rates won’t be helpful as there aren’t enough term transactions in the market. The idea of a Secured Average Financing Rate (SAFR) has been brought up several times. 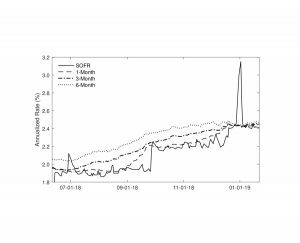 But a new working paper from the Federal Reserve suggests that the term structure problem may solve itself by using SOFR futures.